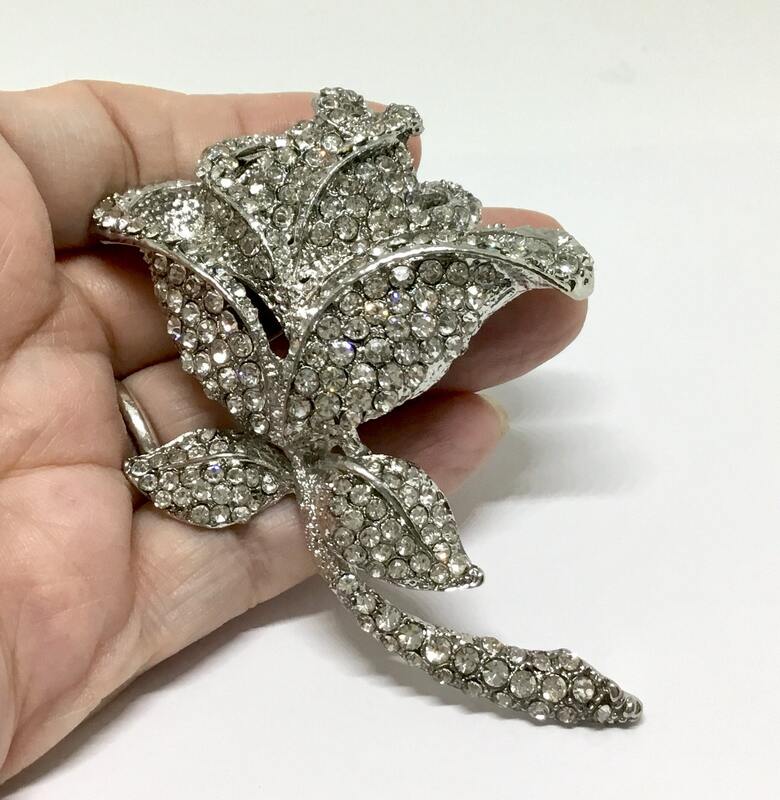 This is a sweet vintage inspired new silvertone rose brooch. 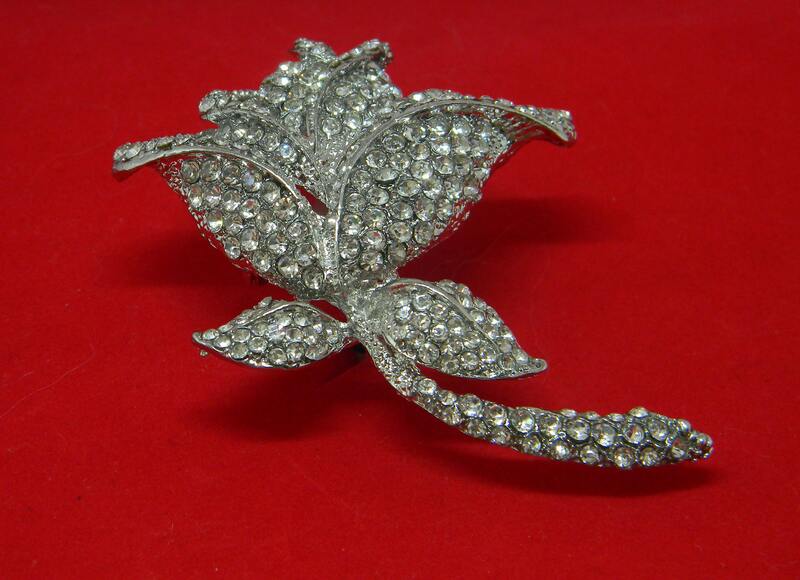 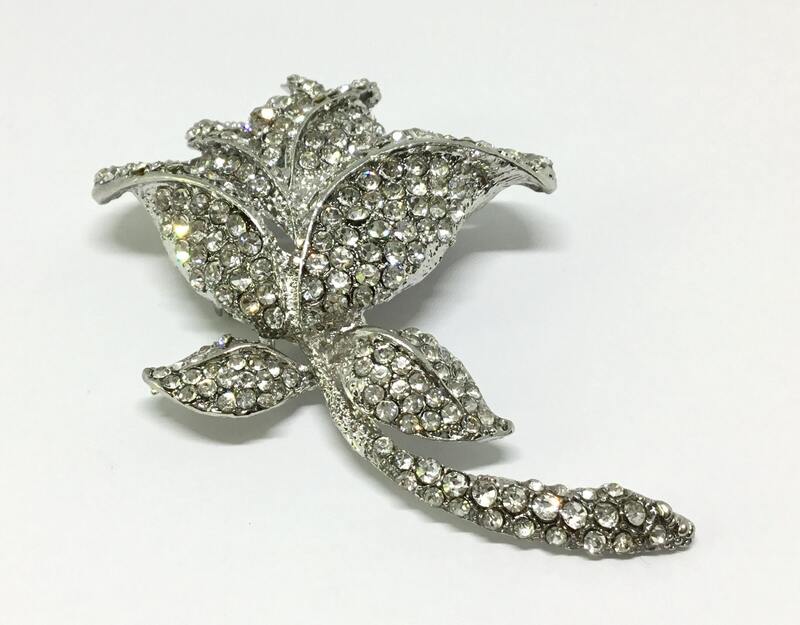 It is made with sparkling crystal rhinestones which cover the rose, the stem, and the two leaves. 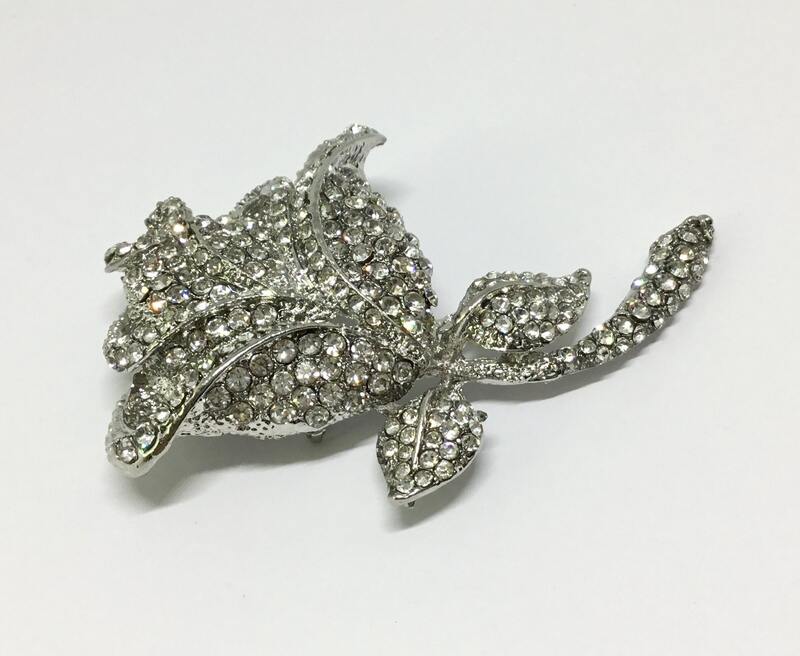 It measures 3 1/4” x 2 1/4” and it comes with a pin on the back. 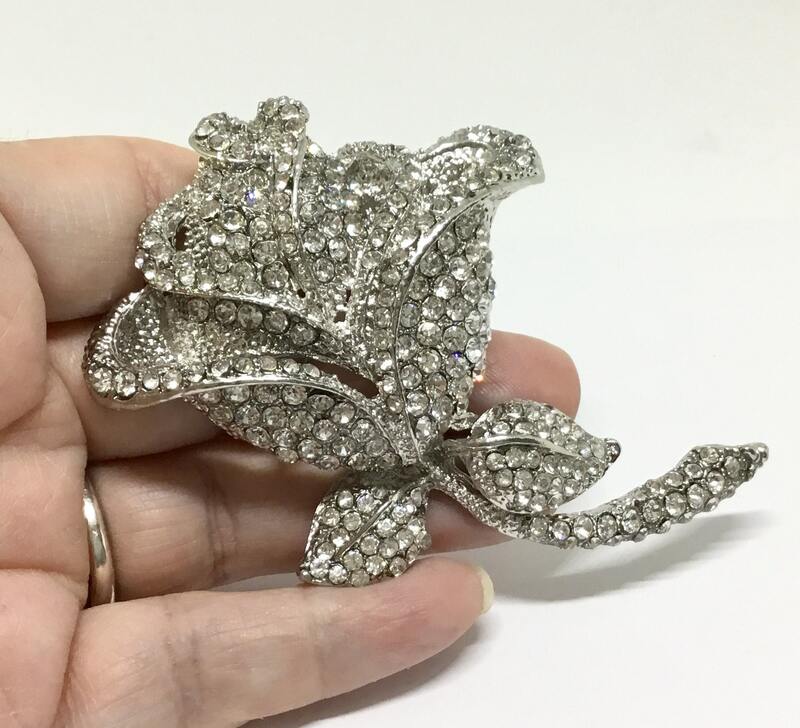 This sparkly rose brooch can be used for a wedding bouquet, a brooch picture, accent on a wedding cake or birthday cake, a hair decoration, or for any DIY project. 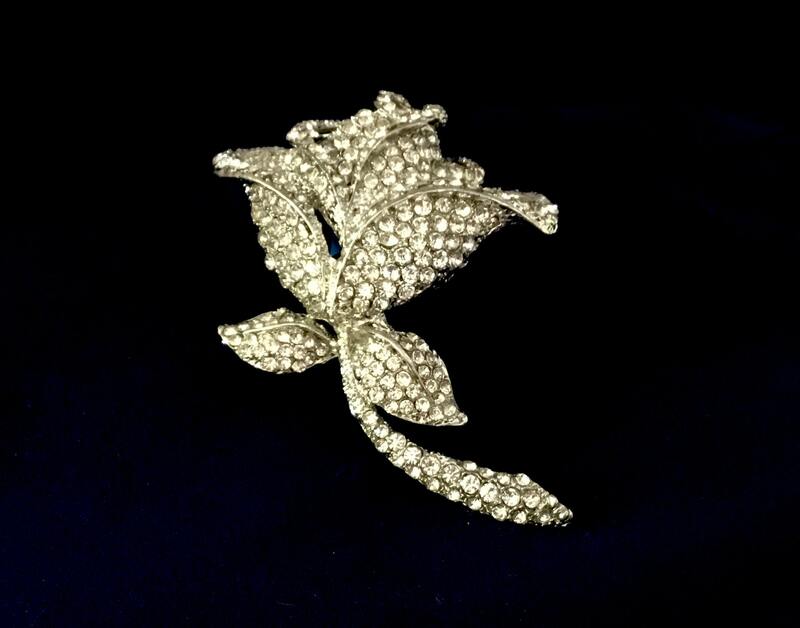 A gorgeous clear crystal rose to add a touch of bling to any occasion!